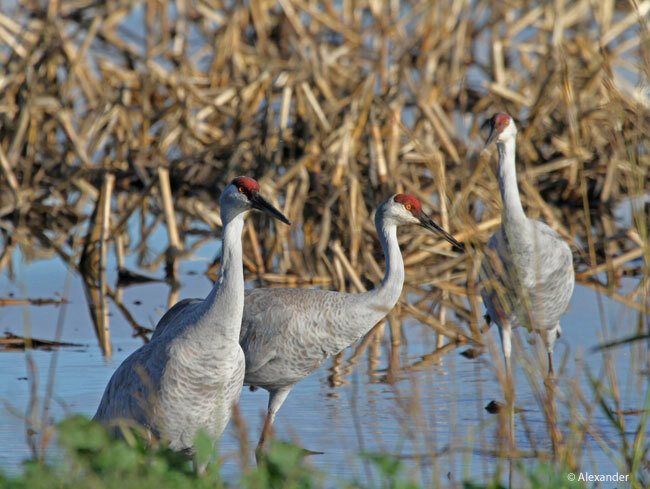 Every year the Delta and Central Valley of northern California come alive when thousands of sandhill cranes settle here for the winter. 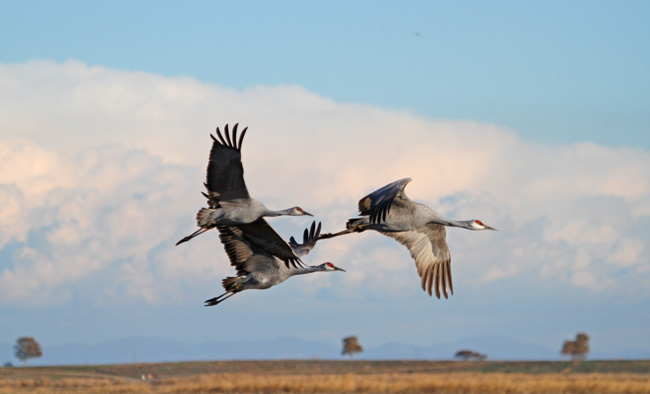 My recent post highlighted the migrating ducks; here is a post, with pleasure, on the cranes. Originally named for their migration through the sand hills and dunes of Nebraska, they fly here from the northern part of the continent every winter. See map and links below. 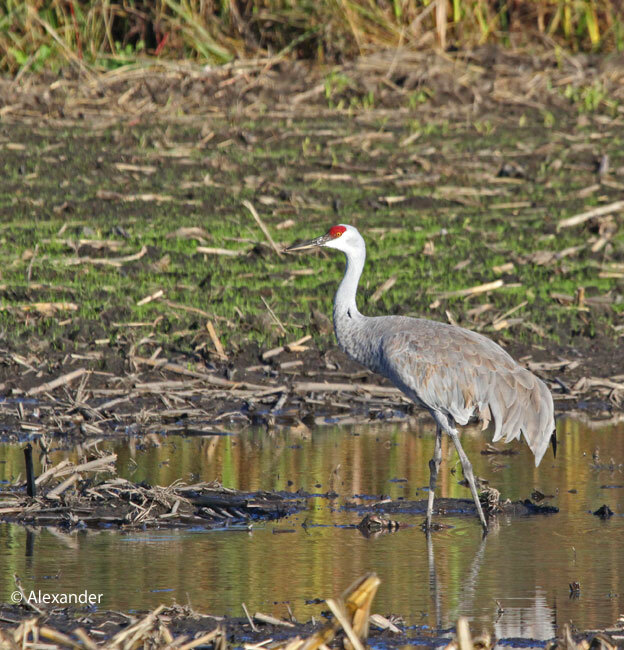 The sandhill cranes are mesmerizing to observe with their distinctive bugling calls, animated mating dances, graceful foraging, and stately appearance. A social bird, they travel in large flocks as a form of protection. Approximately four feet tall (1.21 m) with a wingspan of over seven feet (2.13 m), the long-legged Grus canadensis is an omnivore. They eat insects, roots of aquatic plants, rodents, amphibians, snails, reptiles, berries, and cultivated grains.